So, like most people I’ve tried to spend the last few weeks enjoying summer and thinking of nice things like going for fun bike rides. But the good ol’ media, bless them, never sleep in their quest to remind us that cycling is actually a terribly dangerous thing (and those who do it are just freeloading scofflaws probably wearing lycra…). The somewhat irrelevant news that in the past year about 10,000 cyclists are fined in NZ for not wearing a helmet and about 300-400 for other offences (“those scofflaws!”). What I wanted to know was: exactly how many motorists each year are ticketed for instances of dangerous behaviour towards riders? The hoary old chestnut about calling for bikes to be registered to improve rider behaviour (yeah, because that’s working well for all those registered motor vehicles…). To their credit, the AA dismissed the idea as unworkable. The same article also mistakenly said that cyclists must “ride as far left as they can” – actually it’s “as far left as practicable”, which allows for situations where it is safer to be further out or take the lane. An interactive online map is provided of all cycle crashes in NZ during 2008-12 (right… because that’ll put people’s minds at ease…). Interestingly, an opportunity is also provided for people to identify cycle blackspots anywhere in NZ using an online map. Not surprisingly, for an Auckland-based paper, most locations submitted are in that region, but to date a couple of Christchurch locations are also listed. To get the “real” angle, The Herald decided to get some of its own reporters to swap their daily drive/bike commutes. But getting someone to swap their ride for one day is hardly likely to present a robust impression (especially if they didn’t have a buddy to point out all the rookie mistakes), and they almost seem quite disappointed that nothing news-worthy happened (“I didn’t hit anyone!”). Not surprisingly, given the chance, the trolls were out to feed the comments on these articles. And while newspapers at least try to remain reasonably balanced, some bloggers and their readers got incredibly rabid at those “blimmin’ cyclists” (no, don’t look if you want to retain your innocence…). It’s ironic too that, at the same time NZTA has come out with a new safety advert pointing out that people shouldn’t pay for mistakes with their lives, many commenters have been quite quick to say “you break the rules, you deserve what you get”. 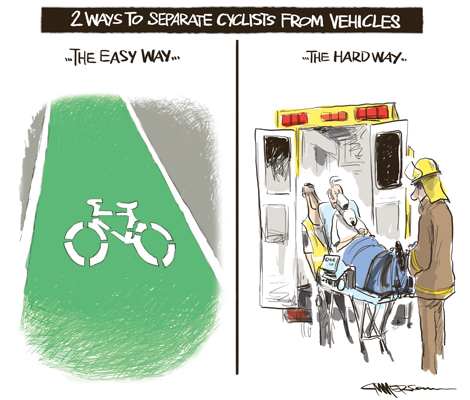 Kudos to Cycle Action Akld for pointing out the more productive ways to tackle this problem. In amongst all this, Fairfax just happened to think it was an opportune time to run a story, citing the cost to ACC of all those cycling crashes. The implication was that the costs were on the rise (getting more dangerous?) – in the printed version of The Press they even used the word “skyrocket” in the heading – although as was pointed out to them, it could just reflect more people cycling. Meanwhile a few more will just see it as evidence that “cyclists don’t pay”, even though we’ve debunked that myth previously. What do you think of media coverage of cycling? why is the media not looking at the benefits of cycling. i am not a sport person, i hate exercise and i am the biggest chicken too. but a good friend got me into it and i am loving it. it is helping me with my depression and it is giving me the confidence i need to get out there. I’ve heard similar comments about riding helping with depression several times. I stopped riding for a few years due to living in a place with poor road conditions. Now I’m riding regularly again, I can see that period matched a decline in my mental health. Sometimes I try to figure out why. The benefits of exercise are part of it, but I’m pretty sure there is something deeper going on. I would argue that a community where you feel free to walk or ride around, and see other people doing the same, feels a lot less aggressive and lonely. The media is only interested when people are killed or injured riding bikes. I’ve tried for 4 years to expose through the media the dangers of the grossly non-complying roads that CCC & NZTA knowingly approved in the new Living G Yaldhurst subdivision. The media & The Press were not interested in publishing the facts and dangers. Finally the out-going Council were pressured by the at risk public to seek an independent safety audit that confirmed “10 (ten) serious and significant frequent death and serious injury safety issues”. STILL the media and The Press are not interested. The ODT in Dunedin is just as bad for their journalism. 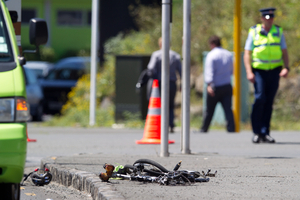 In their coverage of the NZTA’s proposed changes to the one-ways to include a separated bike lane the headline could/should have read “Great news, NZTA to investigate ways to make cycling safer and prevent death”. 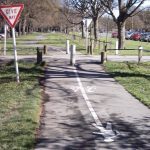 However, instead it read “Parking slashed in cycle lane plan” with the first sentence reading, ‘Between 200 and 400 parks on the central Dunedin one-way system will be removed and replaced by dedicated cycle lanes if a new plan by the New Zealand Transport Agency goes ahead’. All this did was ‘anger’ car drivers and initiate a fury of comments online and through the letters to the editor about how ridiculous it is to lose car parks for the few cyclists that use the roads. 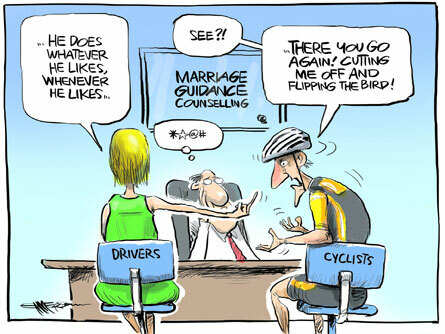 In their defence the ODT has published articles discussing the issues from the cyclists perspective but they are not written by their journalists. I believe the media continues to fuel the animosity between some car drivers and some cyclists – but this is probably what sells the paper! Shame on The Press and the media for not bringing these dangers to the attention of the public. Yet they’d be lining up for a scoop on the first of the forecast deaths. Why are group’s of cyclists referred to as packs? This suggests aggression and a predatory behavior. I’d like to see the red light runners reported on a tonnage basis – on the simple grounds that the more mass there is, the greater danger to other road users. It would make good sense to make it legal for cyclist’s to have to obey the “free turn” rule when turning left at a red light. i.e. they have to “give way” to ALL traffic and pedestrians but can proceed if the way is clear. This makes common sense: it is not dangerous: motorist will not then get angry at cyclists “breaking the law” because they wont be: motorists will be envious instead of angry and encouraged to bike as well to save time from waiting at the lights. Making cycling as efficient and safe as possible will encourage it and put less cars on our roads. Great logical rules to Idaho, thanks! and maybe in a distant future Christchurch. I think mastering a red light left turn “free turn” rule for cyclists giving way to all other traffic/pedestrians is a good start safe point.